Discriminating between secreted and membrane proteins is a challenging task. A recent and important discovery to understand the machinery responsible of the insertion of membrane proteins was the results of Hessa experiments . The authors developed a model system for measuring the ability of insertion of engineered hydrophobic amino acid segments in the membrane. The main results of these experiments are summarized in a new ”biological hydrophobicity scale”. In this scale, each amino acid is represented by a curve that indicates its contribution to the process of protein insertion according to its position inside the membrane. We follow the same hypothesis as Hessa but we propose to determine “in silico” the hydrophobicity scale. This goal is formalized as an optimization problem, where we try to define a set of curves that gives the best discrimination between signal peptide and protein segments which cross the membrane. 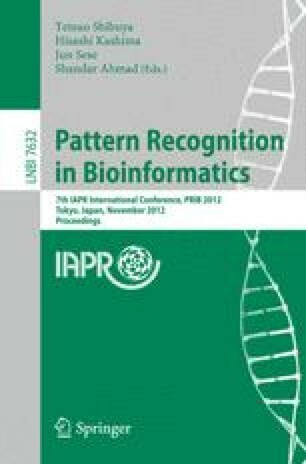 This paper describes the genetic algorithm that we developed to solve this problem and the experiments that we conducted to assess its performance.